The governments of leading offshore wind markets, Germany, Belgium and Denmark have signed a Joint Statement to further the deployment of offshore wind energy in Europe. 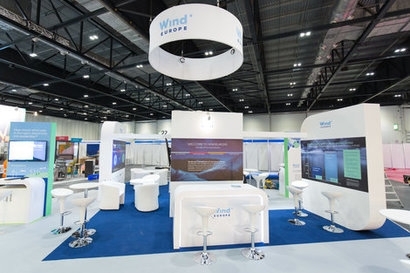 The signing ceremony took place this morning (6th June) at the opening of Offshore Wind Energy 2017, the industry event co-organised by WindEurope and RenewableUK in London. The signatory governments reaffirmed their commitment to deploy a significant volume of offshore wind power in Europe between 2020 and 2030 and were represented by Marie-Christine Marghem, Minister of Energy, Environment and Sustainable Development, Belgium; Rainer Baake State Secretary for Energy, Federal Ministry of Economy and Energy, Germany and Kristoffer Böttzauw, Deputy Permanent Secretary, Ministry of Energy, Utilities and Climate, Denmark. The industry has been on a steep cost reduction curve over recent years and has met its self-imposed target of 100 euros per MWh by 2020 ahead of time. Winning bids of auctions in the Netherlands, Germany and Denmark delivered up to 48 percent cost reduction compared to projects just 2 years ago. Delivering further cost reductions will require the deployment of significant volumes of new offshore wind, but most Governments in Europe have still to define clear plans for how much new offshore they intend to deploy, notably beyond 2023. The industry therefore calls on European governments to collectively ensure there is 60 GW, or at least 4 GW per year of new deployment in the decade after 2020. Going beyond 4 GW per year would enable the industry to become fully competitive with new conventional generation ahead of 2030. 60 GW, which the industry intends to deploy between 2020 and 2030, represents only a fraction of the potential of offshore wind energy in Europe. According to a new resource assessment by BVG Associates released today, offshore wind could in theory generate between 2,600 Terrawatt hours (TWh) and 6,000 TWh per year at a competitive cost – 65 euros per MWh or below, including grid connection and using the technologies that will have developed by 2030. This economically at­tractive resource potential would represent between 80 percent and 180 percent of the EU’s total electricity demand. This joint initiative is aimed as a strong reminder that leading European businesses and Governments are united in their determination to accelerate the transition to low-carbon energy, to reap the economic benefits that will come from that - and in the process to uphold the non-negotiable letter and spirit of the Paris Climate Agreement. Jens Tommerup, CEO, MHI Vestas Offshore Wind, added that the future vitality of offshore wind depends on clear and consistent volumes in the market. Visible and reliable deployment targets will unleash investments and competition in the market and will drive technological breakthroughs and the continued globalisation of the industry.